I apologize ahead of time for the lack of screenshots and a long list. Belt is a little below average(could have 24%fhr 40 life rep life and mana) but usable. As for the helm it's not much useful, since both %bonus per lvl and fhr doesnt help much at this level. I'm guessing a spirit in a pally shield would be better at level 30 but I figured I'd ask anyway just in case. also, it has too low defense too. the mana boost and +2(all skills) and 35%fcr are too good mods to left out. Posted: Fri Apr 09, 2010 6:03 pm Post subject: lld honor base? west soft core non ladder. a few people said it's useless, while a few others wished it was on their realm. i hope for opinions from LLD101, since jspers aren't really that bright on average. Posted: Sat Apr 10, 2010 1:28 am Post subject: Re: lld honor base? 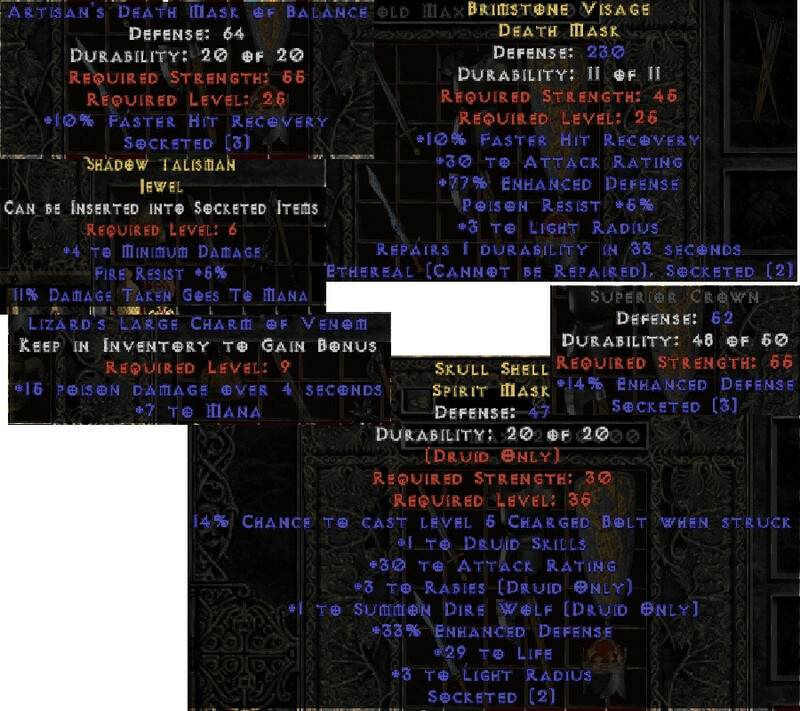 could this be considered as nice 15lvl zealer ring? 15lvl anti smiter ring maybe? Sorry about the annoying formatting, what in here is good? actually nearlly everything mentioned and shown has a good spot on several lld builds. keep and use..
mrslug, while that circlet can be used, it's nothing special.